Enter Joe Heller, a veteran homicide investigator, who arrives in what we call winter – February – but is the summer here at the end of the earth. Although he knows little about the continent beyond that five thousand people inhabit it, he’s been sent by a US Marshal to solve a murder at the base. Thus the reader hits the ground running with Heller, who attempts to infiltrate a community of one hundred and fifty-seven people, comprised mostly of scientists, brilliant, clueless people volitionally holed up in a kind of purgatory. Heller becomes our eyes and ears, our link to humanity throughout. Written in a spare yet rich style, Stone invites us into Heller’s past, providing glimpses of his personal tragedies —the reason he accepted the investigation in Antarctica. While at McMurdo, his first awakening comes when he meets the young woman assigned to aid him in his investigation. Intuitive and beautiful, she reminds Heller of his estranged wife and daughter. Add to these memories Heller’s former investigative partner, who had an impressive instinct for finding the truth and capturing the bad guys. Place becomes destiny, a lonely/crowded station where the black of night and unspeakable cold plays with each person’s head, coping skills, and core beliefs. By the end of the first third of the novel, these challenges are in full throttle. This fast spun narrative has Heller evaluating each character’s moral code, ability to stay lucid, and to avoid ‘Polar T3, triiodothyronine, described as ‘…a poorly understood chemical compound in the thyroid’ that seems triggered by a winter in Antarctica. With Lord of the Flies aspect, that of losing communication with the outside world, grievances among individuals in a group and survival of the fittest (female and male characters in Stone’s confection), Heller is keenly aware that more deaths will follow. It is his responsibility to not only solve the case but to stop the ongoing murders. The reader is inside his head. The reader, too, does the work of Heller’s investigation, one that culminates in a spine chilling discovery and unpredictable denouement. 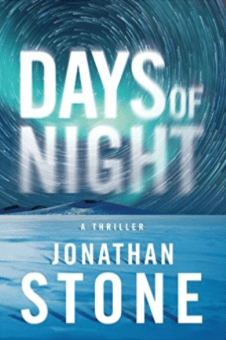 If one isn’t already a Jonathan Stone fan, Days of Night would be a good place to start. Tuck yourself into a comfortable chair for the ride – it’s a compelling read. Long after the last page, thoughts linger. One ponders the complexity of Heller’s task in Antarctica and the author’s trenchant ability in laying out the tale. 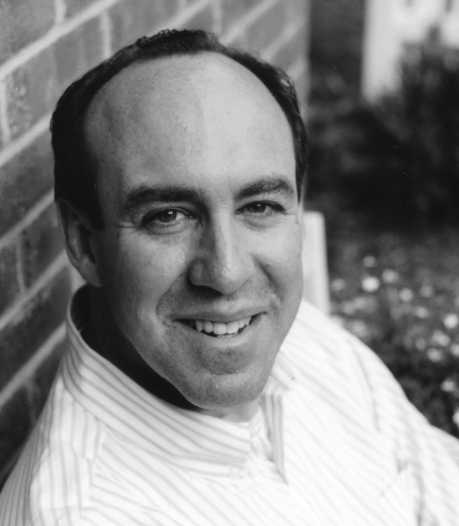 Jonathan Stone, alongside his writing, is the creative director of a midtown advertising agency. He does most of his writing on the commuter train between Connecticut suburbs and Manhattan. Several of eight of his works have been optioned for film. He is a graduate of Yale and has a son and a daughter. Some of his other works include The Cold Truth and The Heat of Lies. Susan Shapiro Barash is an established writer of thirteen nonfiction women’s books, including "Tripping the Prom Queen," "Toxic Friends" and "You’re Grounded Forever, but First Let’s Go Shopping." She teaches gender studies Marymount Manhattan College and is a well-recognized gender expert. Her novel, "Between the Tides," is published under the pen name Susannah Marren. Her new novel, ”A Palm Beach Wife,” comes out in April 2019.